You may feel that finding that you’ve broken your key in your lock is a scotch on your day. As a Portland locksmith company, we feel that it’s up to us to help you out of this muddle. However, there are many things you can do in order to prevent your keys from breaking in the future. When you have a broken a key inside of a lock, it may seem logical that you will need to replace your lock. 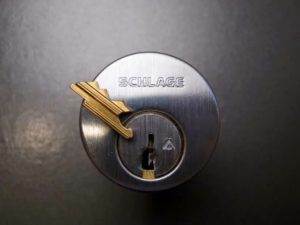 If you attempt to extract the key without calling a professional locksmith in Portland, this may very well be the case because you dramatically increase the risk of damaging the internal components of your lock mechanism. 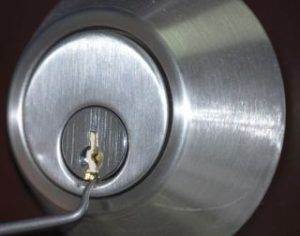 It is much more costly to have a lock change done than to have a key extracted. With extensive use your keys will form cuts that will cause your key to break. If any damage is seen on your key, then stop using it and switch to a new key. This is a great way to prevent your keys from breaking inside your lock. If you want your home security lock and key to be durable and efficient, lubricate the insides of your locks at least every six months. Without lubrication, the internal components grind together and the friction will cause the lock to deteriorate. If your lock is lubricated it will work fluidly and your key will less likely break inside. Before any work is started a residential locksmith lubricates the lock. Then the locksmith will make use of a unique extraction tool, which is inserted to enable the teeth of the tool to come into contact with the stuck key. This may sound simpler than it really is, so be patient if it takes more time than you think it should. It is more important to do it right than to do it fast because this will prevent your lock from suffering any internal damage. In addition to the key extraction, we also provide a key replacement. This additional service can be completed by us either duplicating the broken key or by noting the biting code of the key. Your lock and key will be in working condition faster than you think.